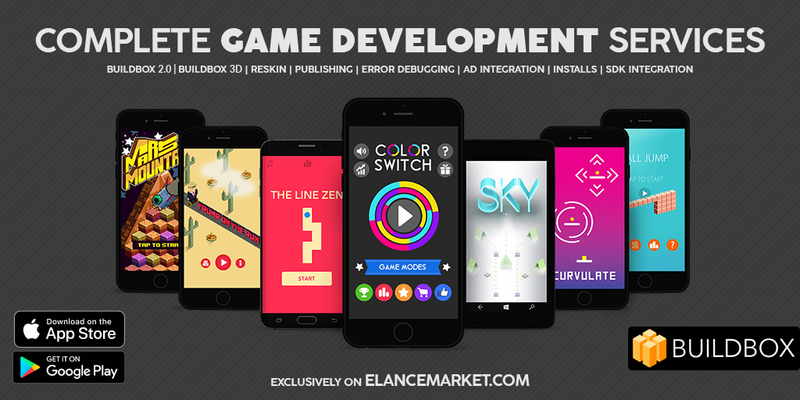 This gig is devoted to you if you are entering the mobile app or game development business. Here you will find all the consultation, services, help and guidance that is required to take your project in the top ranking. We have successfully completed 10+ client's orders & extensive experience with BUILDBOX, Android Studio & X-code. This gig is priced on the daily basis, so it is essential to discuss the job before order and get your final quote related to your work. We will provide you with a great package according to your budget. PS: Please Contact Us to have a better understanding and to learn about the scope of your project through our free market research services.